Reality star Kim Kardashian addresses presidential campaign rumors. As the presidential election for 2020 is getting closer, several speculations on who might be running for president frequently arose. Ranging from wrestler turned actor Dwyane Johnson to Kim Kardashian, people have had their own part of explanations on the possible candidate for president. Addressing the presidential campaign rumors about Kim Kardashian possibly planning to run for president in 2020, the reality show star spoke to The New York Times recently. Kim put an end to the rumors through her recent interview where she claims being a president would be the most stressful job in the world. "[It would] probably be the most stressful job in the world, and I don't think that's for me." 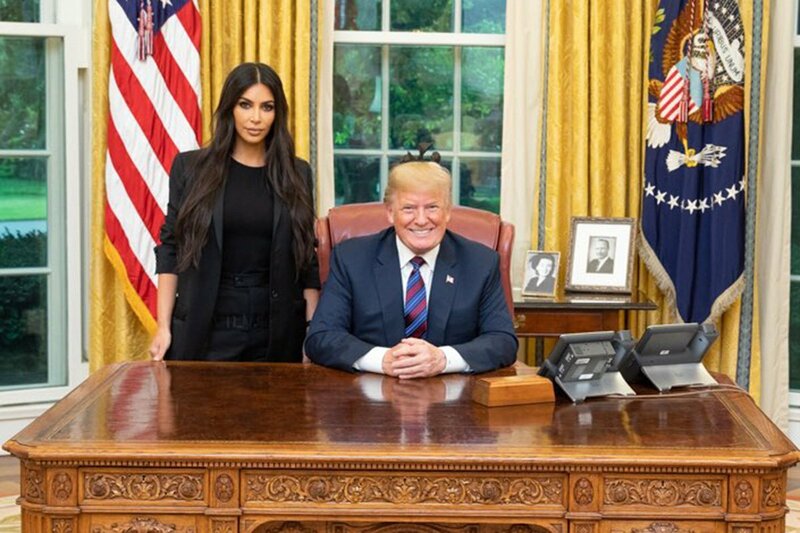 The rumors surfaced as Mrs. Kardashian-West was recently actively participating in the political campaign alongside American President Donald Trump. Kim met with Trump to discuss criminal justice. Last year, Kim met with Trump to discuss criminal justice reform and her efforts resulted in presidential pardons for multiple non-violent offenders. Kim later met with California governor Gavin Newsom to discuss bringing an end to the death penalty. With her unexpected forays into the political arena, it didn't come as a surprise that many assumed Kim was gearing up to run for presidential election next year. Meanwhile, the other reason behind the rumor is most of the celebrities from Dwayne Johnson to Kim's husband, Kanye West discussed plans to run for president. So the fans undoubtedly were looking forward to the announcement from the Keeping up with Kardashians star. Apparently, Kim is busy preparing for the arrival of her fourth child. In a statement to the Times, she said: "I'm frantically trying to get the room ready. It's madness, but the best madness."